Home Decor 2014 – Best Glam Decorating Year Ever! Home Decor 2014 - Best Glam Decorating Year Ever! 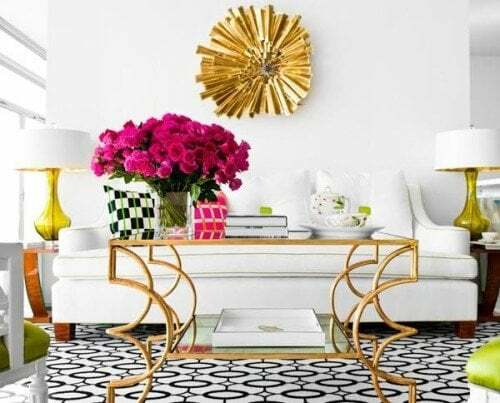 Glamorous home decor in 2014 will be a touch eccentric, have timeless design, a splash of pure elegance, pops of brilliant color, layers of subtlety, minimalist tendencies and a drop of sophistication. Enduring glamor has all these ingredients, and 2014 is no different. We all want a luxurious decorating look - the less cost the better! So many great home decorating looks so out of reach. It's not only the money, it's the ideas, styling and how its put together that creates the chemistry we feel looks totally glamorous. Difficult? It doesn't have to be. Inspiration is everywhere when you know what you like, what your family will enjoy and what to look for. As we steamroll into another year, it's time to look how you might get luxe home decor looks for little effort and little cash to really transform your home. You can recreate a super expensive look without breaking the bank. It might be a challenge at times.. but it's worth it. The first step to home decor glamor is getting rid of clutter and get organized. That will help you to keep your rooms and your home clean, neat and tidy; and give you a basic template to add, shake and stir this year's home decorating. 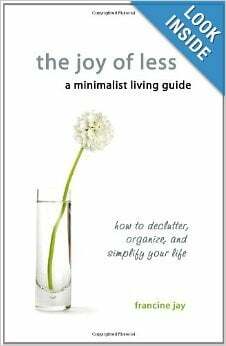 Most people find decluttering rather overwhelming. Where do you begin? 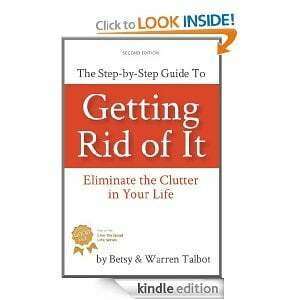 You can begin by using our free Declutter Guide if you need a little structure around this. Just join our list and it will come right into your email box.
. Both books are available from Amazon with good reviews. If you have storage, put your things out of sight. This one thing alone can help you to keep your surfaces clean. If you don't have enough storage, create or buy some or, maybe, it's time to give things away. 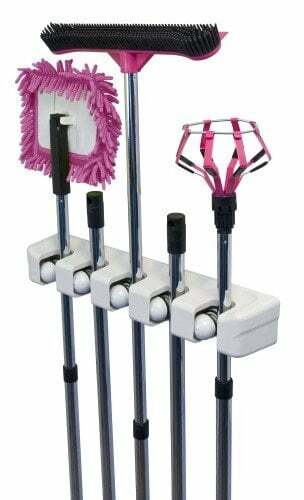 below can make the world of difference in your bedroom. 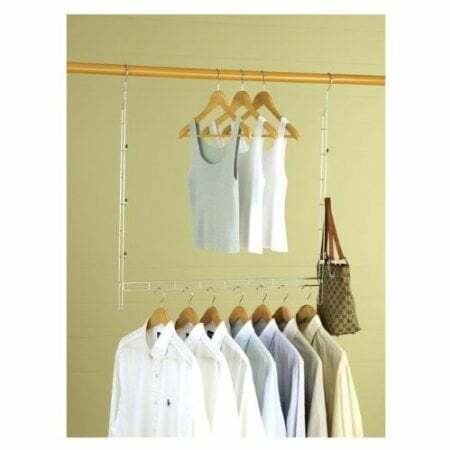 At around $7.95 its worth the investment to your bedroom or add more space to a hall or coat closet. Either way, you get the idea, be smarter this year with your time, your storage and your home decor. The earlier you start, the earlier you will have time to spend time on the fun side of decorating. Enjoy your possessions! Move them room to room for different seasonal looks adjusting color schemes and mood as you go. Freshen your basic home decorating wardrobe with pops of color using home accents like new cushions, vases, rugs, wall decor or lamps. 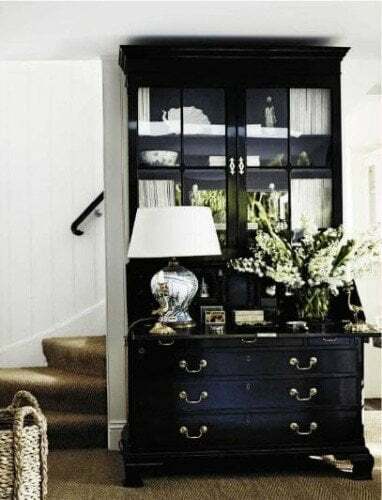 Put interesting things together in less that obvious parts of the room.. less in your face display and more in places the eye can drift to like corners, different heights and groupings. 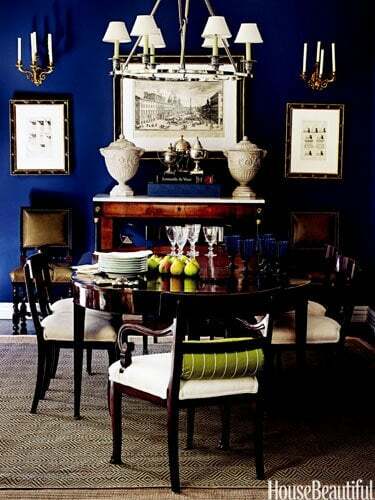 Mixing home accents is okay if you get the balance of color, shape and densities right. Something looks and feels glamorous when it looks different, rich and unusual. There's a certain uniqueness that adds sparkle to the room. From color schemes, textured fabrics or unusual furniture, the room draws you in, so you want to linger a little longer. It gives you a special feeling that you don't want to lose. Using home accents like fabrics, metals, mixing color schemes, furniture or stencils in a layered way create rooms that are rich and sophisticated in their own way. You know you've got it right when the room is not only striking but your eye moves from one point to another, taking it all in, feeling inspired and satisfied. Glamorous home decor creates a striking look; classic, outrageous, elegant or fun. Even the smallest budget can do 'striking'. It might mean using cut crystal stemware as candle holders, vases or nut bowls. 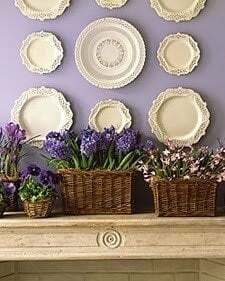 Or hanging gorgeous plates or trays on a wall. It could be adding a stencil to a wall, floor or rug. If you find an amazing collectible in a thrift store, use it as your home decor theme or centerpiece and add to other less expensive but similar style plates, glasses or even the odd painted portrait. 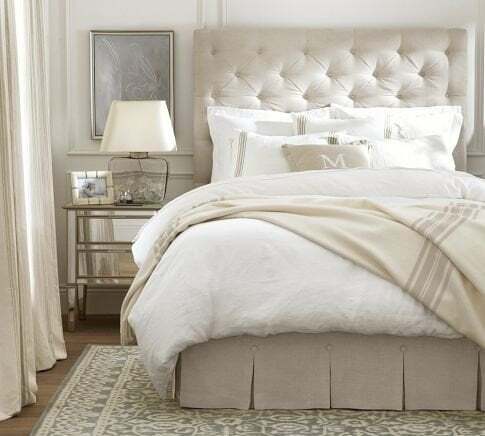 Brand names and bargains are one thing but if you don't have time to drift or scour thrift and online stores, use color, and richly textured fabrics and trims to bring your rooms to life. A single silk panel in a living room, dining room or bedroom can boost your home decorating glamor factor up a notch. It's home accents like these that make your room one to remember. There are some things you should spend money on when you can afford them. Items with quality craftsmanship are an investment. They tend to last longer, have great lines and classic designs and over time, go up in value. This can be a well made sofa, a silk rug or pieces of furniture. Choose sturdy, well made classic pieces. They are not always expensive, but they do make a statement. The internet has exploded the number of places to search and find great pieces for your room decorating ideas. Flea markets, auction online stores, thrift stores and second hand shops carry everything from vintage to silver. Not all are collectible but if you love the line, color or look, its a great way to build your home decorating inventory. What you are looking for are pieces with good bones. They might need cleaning, reupholstering, painting or reframing, but a small investment of your time and a little money will turn the piece into a Rockstar piece. Certain color schemes resonate with us. They are classics because they have been around so long. They've been around so long because they resonate with us. 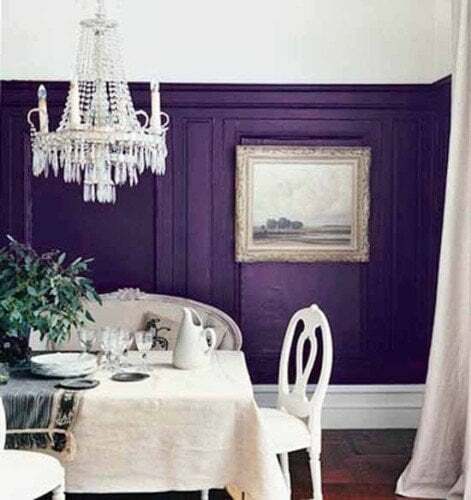 At the top of the list and still instilling feelings of glamor are color schemes of blue and white, royal blues and reds, black and white, deep greens, purples, and gold. Its not color alone that make these color schemes glamorous but the added texture, finish and fine work supporting each look. 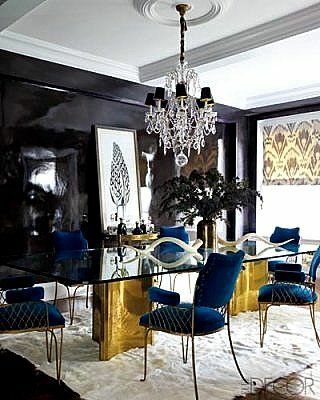 If these other factors aren't there sometimes what you get is a room full of sharp brassy color; a far cry from chic. 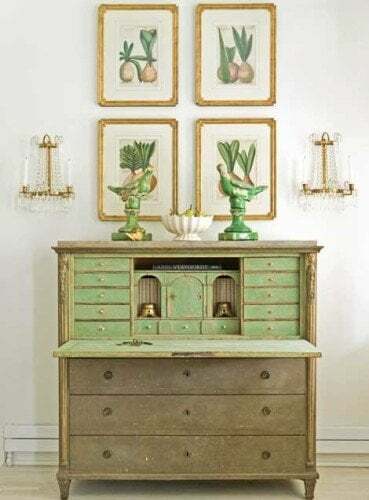 Take contrasting neutrals like linen and wood against gilded finishes; this is a very glamorous look. Too much fine silk and gold often look a little cheap as if its trying to hard. 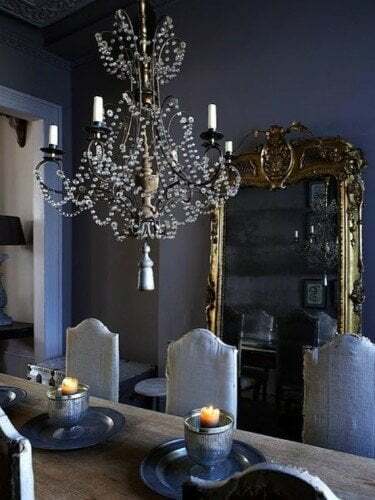 As I mentioned earlier, it's easy to tip from glamor to way too much that can almost look cheap and even a little trashy ... really great room decorating ideas contain a little restraint. It's a fine line between classic, dull and glamorous. It has to flow. Great room decorating ideas mix quality and quantity, rich and simple, texture and minimalist, luxurious and casually relaxed. do you mean hanging decor?